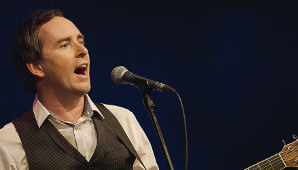 After wowing audiences and critics in 2015 with his cabaret show “The Parting Glass - An Irish Journey”, Damien Leith is proud to revisit the show in 2017. The show which incorporates both a play and a musical concert of classic Irish songs is set in an Irish pub and see’s Damien take on the character role of an Irish father as he chats with the audience about his son Daniel who lives in Australia. Filled with great conversation and humour, heartfelt emotion and a repertoire of rousing and touching Irish Songs (Danny Boy, Raglan Road, Toss the Feathers, Molly Malone, Galway Bay, Carrickfergus, Rocky Road to Dublin…), The Parting Glass is a show like none other. It showcases Damien as not only an exceptional musician and singer, but as a talented and engaging actor.